Bilstein B14 PSS Coilover Suspension Kits feature threaded body ride height adjustment and offer the latest motorsport development for fast road use. 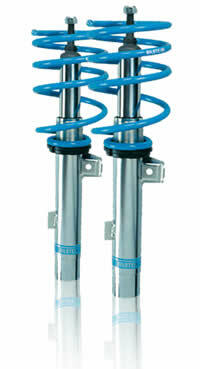 The Bilstein B14 PSS system uses monotube inverted technology to provide a perfect balance for performance and handling in every situation. The ride height adjustment can be adjusted whilst on the car, and the height can be varied between 30mm and 60mm. 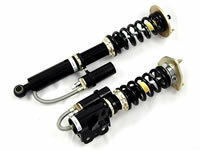 The Bilstein B14 PSS suspension kit is TUV approved. Suspension with variable height adjustment for better looks, improved handling and enhanced technical features.